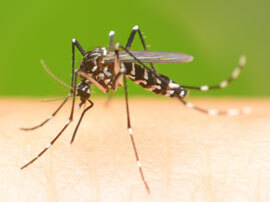 Mosquitoes ruin your outdoor experience and present a growing health concern in southern California. Pest Innovation applies a mosquito control barrier treatment which will help you take back your yard. This trusted and dependable mosquito reduction solution eliminates mosquitoes and their larvae. 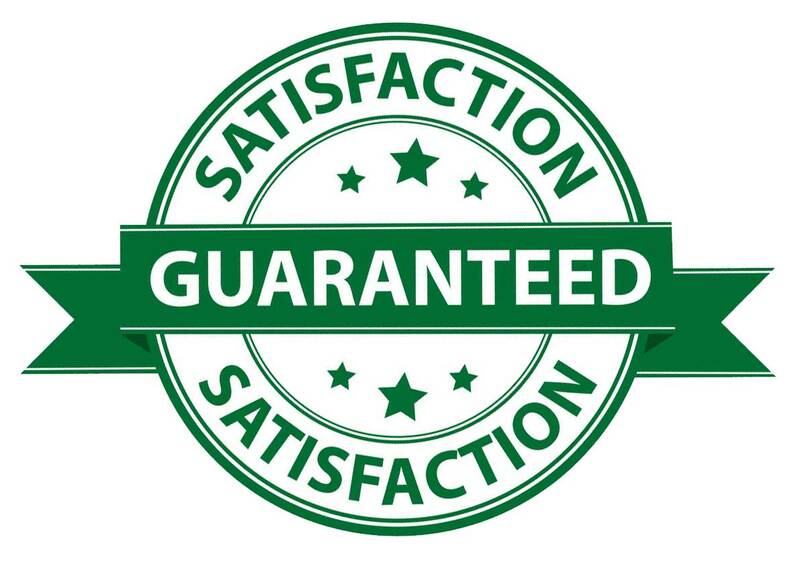 For optimum protection, regular treatments between the months of April - October are highly recommended. Green & effective, a revolutionary tool to combat Aedes mosquitoes that transmit dengue, chikungunya, yellow fever and zika virus. Our mosquito traps are the perfect solution for lasting control of egg-laying Aedes mosquitoes in residential as well as commercial settings such as office buildings, resorts and hotels. Once inside the traps, mosquitoes contact the specially treated gauze near the water surface and are contaminated with a larvicide and a fungus. We exploit the fact that Aedes like to divide their eggs over multiple sites; by letting them fly out of the trap whilst carrying larvicide on their legs. They transport the larvicide and contaminate several breeding sites near the trap. Only tiny amounts of larvicide will get spread to other breeding sites (mostly small man-made containers), which is enough to kill mosquito larvae but not enough to cause risk for non-target organisms like fish or mammals. Traps are placed outdoors and maintained every four weeks. Mosquito control starts with a technician performing a thorough inspection of the property and in particular, sources of standing water near the infested structure. 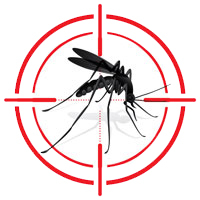 To eliminate mosquito populations, we use a larvicide in combination with an adulticide. Larvicides are placed in standing water where mosquitoes lay their eggs to prevent larvae from developing into adults. An adulticide provides knockdown of biting, breeding adults. Depending on the level of mosquito infestation, your state-licensed technician will suggest treatments suited to reduce your mosquito population. Sources of standing water which mosquitoes use to breed will receive a larvicidal treatment. In vegetation near the structure, we use a long-lasting adulticide broadcast treatment to ensure that adult mosquitoes can't establish themselves. For organically minded clients, we offer a more rigorous treatment method using a professional grade pesticide that consists of rosemary oil, geraniol and peppermint oil. This FIFRA 25(b) organic pesticide has been approved to treat mosquitoes but rapidly degrades when exposed to the elements and requires bi-weekly treatment to maintain the same level of control as its traditional counterparts. Asian Tiger mosquitoes and Yellow Fever mosquitoes have spread throughout Los Angeles county like wildfire. 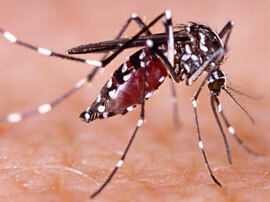 Aedes mosquitoes are black with white stripes on their legs and thorax. Aedes mosquitoes feed during the day. They are commonly mistaken for fleas as they prefer to stay low to the ground and feed below the knee. Aedes mosquito larvae can survive in just one-eighth of an inch of water. Females lay small clutches of eggs in multiple locations, including dry surfaces of a containers that commonly see water. The next time the container sees water, the eggs will hatch - up to five years later. Culex mosquitoes are the most commonly thought of mosquito but prefer to feed on birds. Where the Asian Tiger and Yellow Fever mosquitoes prefer to take several small bites and fly away, Culex mosquitoes prefer to drink for long periods of time, making them easier to spot and kill. Culex mosquitoes also breed differently. Culex females lay rafts of 100 eggs in bodies of standing water like ponds, buckets and bird baths. If the standing water is removed, the eggs die. 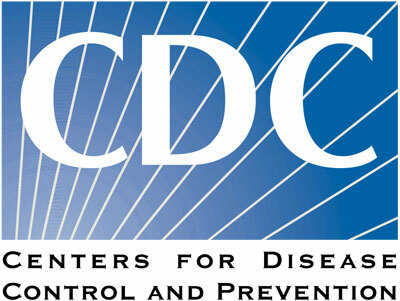 Chikungunya - an infectious disease with symptoms that typically include fever and severe joint pain. It is caused by the chikungunya virus. Thus far in California, chikungunya infections have been documented only in persons who were infected while traveling outside the United States. Symptoms of Chikungunya include fever, joint pain, headache, muscle pain, joint swelling, or a rash. Chikungunya is not contagious. Dengue - or Dengue fever is a disease which is transmitted principally by mosquitoes not native to California. Dengue infestations have been identified in multiple counties in California. Symptoms include high fever, rash, muscle and joint pain, serious bleeding and sometimes life threatening shock. Dengue fever is not contagious. Malaria - fever is the most common early symptom of malaria. The fever tends to rise over several days to 104° to 106°F and may be accompanied by headache, muscle pain, and fatigue. Victims may experience intense shaking chills and sweating. Symptoms usually develop within one to four weeks of a person being infected, though in some cases symptoms do not appear for up to a year. Malaria is not contagious. 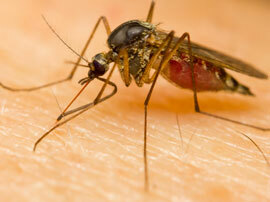 West Nile - this mosquito-borne disease first appeared in California in 2003. By 2004, West Nile Virus had spread to all 58 counties in the state. Symptoms of West Nile Virus include fever, headache, body aches, skin rash, and swollen lymph nodes. Severe symptoms and signs may include stiff neck, sleepiness, disorientation, coma, tremors, convulsions, and paralysis. West Nile is not contagious. Zika - Zika virus has been detected in several southern California counties. To date there has been no local mosquito-borne transmission of Zika virus in California. Fever, rash, joint pain, red eyes, muscle pain and headache are common symptoms of Zika Virus. The incubation period for Zika virus disease is not known, but is likely to be a few days to a week. Zika virus is not spread through casual contact, but can be spread by infected men to their sexual partners.